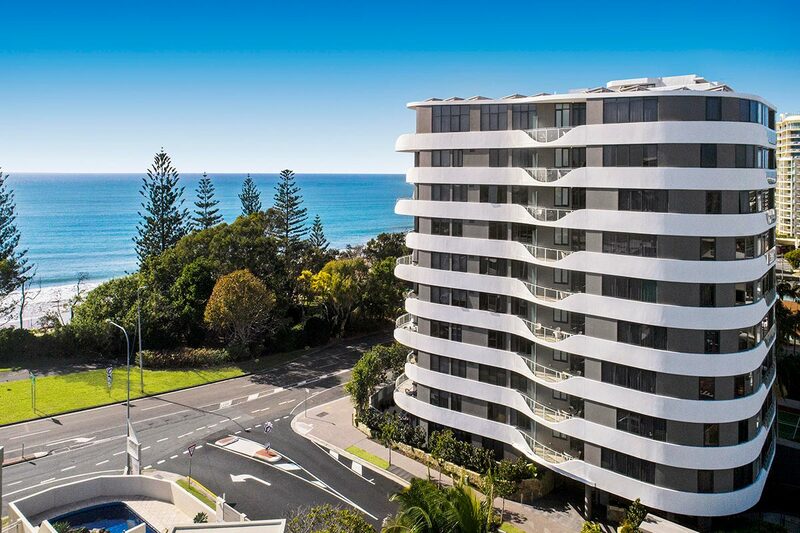 Here is the new sweetheart of the Sunshine Coast, this accommodation Mooloolaba Esplanade, the Breeze apartments will provide you with a very pleasant surprise. 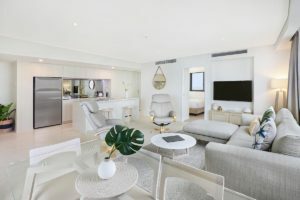 The Breeze Mooloolaba holiday apartments are stylish, spacious and comfortable self contained apartments with sublime floor to ceiling views of the Coral Sea. The views may even inspire you to rise early for a walk along the Mooloolaba Esplanade. Join the scores of other like-minded strollers, runners and cyclists enjoy this wonderful public amenity. Also on the Mooloolaba foreshore are the many cafes. You won’t be stuck for coffee, or where to take your breakfast. Then again the fully equipped chefs kitchen has a nifty breakfast bar. Stock up on local produce and small goods if you’re in for the weekend. The Eumundi Markets are a great place to start. There’s a whole lot more besides to see there too with the best art, craft and produce. Browse over 500-plus stalls at the markets every Saturday and Wednesday. It’s hard to talk about the Esplanade without mentioning Mooloolaba Beach. It is one of the safest swimming beaches on the Sunshine Coast with it’s a north-facing aspect protected from the prevailing southerlies and sou-easterlies with near perfect conditions all year round. It’s good for surfing newbies too. The eastern end of Moolooaba is also a great place to explore. Enjoy the walk along the pristine beach to the spit. There are plenty of diversions along the walkway through the trees for the kids, and lots of seated areas to enjoy the views. Further and beyond is Point Cartwright which requires a car if you’re preferring an excursion that doesn’t involve a really long walk. Point Cartwright is not a patrolled beach and situated at the very northern end of Kawana beach. It’s well known for its surfing point break. 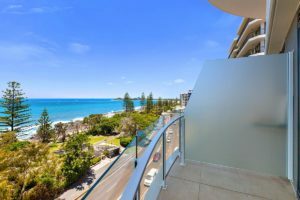 The high cliffs of the coastal headland reserve provides a great vantage point over Mooloolaba, the Mooloolah River mouth, Mount Coolum to the north and Kawana Beach to the south. Migrating humpback whales and turtles as well as ships entering and leaving the Port of Brisbane can also be viewed from Point Cartwright. It also a good place for picnics. 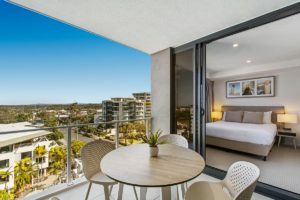 This accommodation Mooloolaba Esplanade at the Breeze apartments has superb local amenities at its doorstep and is a great base to explore the Sunshine Coast. Book now for a holiday accommodation experience that will truly exceed your holiday expectations.